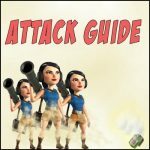 Warriors attack guide | Boom Beach. All about the Game! 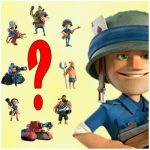 If in the initial levels of Game the “HOOKA” (Heavy+Zooka) is the best combination for attacks then at the middle levels – the best choice is to use Warriors! Why them? Because they are fast, relatively cheap and have good damage power and low training time. With the skillful use of Warriors you will be able to overcome defenses of players which have much higher levels. Don’t believe? Just try and you will be pleasantly surprised! Don’t know how? So we will teach! In this post, I’ll try to lay out all main and necessary moments that need to be known for in order to learn how to make successful Smokey Warriors attacks. Note: I’m on 40 lvl now with HQ of 16 and warriors of 10 levels. To prepare this material I used warriors for attacks along two weeks. And now I can say with certainty that 80% of all PvP bases on your map you can defeat without any problems! To find the most optimal and safe way to the enemy’s HQ. To determine which of all defensive buildings near HQ are dangerous for us, and determine how we will disable them. To calculate necessary quantity of GBE for all planned actions. Totally – 80 units of energy. The most suitable way to the HQ of that base is the right side. The most optimal route to the HQ is right on the center. Machine Gun (after the last game update it become a threatening weapon for warriors). The other kinds of defensive weapons aren’t very big problems and we can ignore them. Part 2. Landing and grouping. The main task during the landing is to assemble warriors into a tight group that would be placed in the radius of the Smoke Screen during the movement. As a rule, this is done with the help of Flare, which throws into the nearest building. This building must be covered with the Smoke Screen. In that case, warriors will gather into a tight group around that building and will be ready for movement. After finishing of grouping your warriors are ready for movement. The next action depends on base layout. If the distance to the enemy’s HQ is short – throw the Flare directly into it and lead your troops without any stops. But If the distance is long – I recommend to make one more grouping using some building on the route (you can see it on the video below). 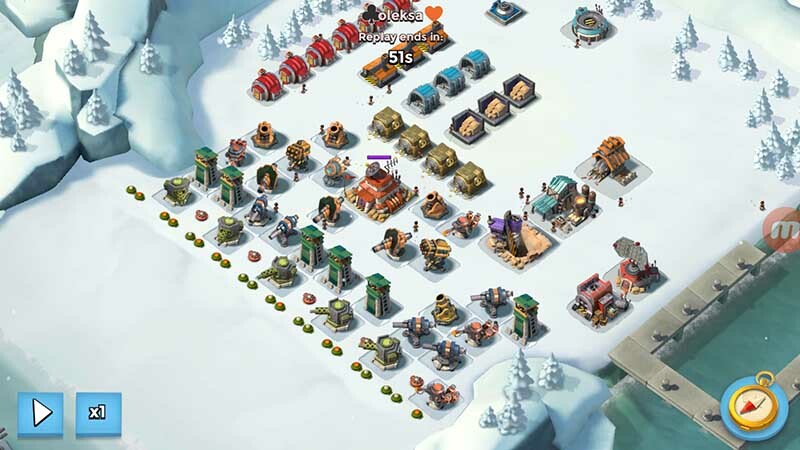 An additional grouping will allow to avoid an unpredictable losses which can take place if some part of units falls out of the Smoke Screen radius during the movement. Do not “walk” diagonally! There is a high probability of group collapse. Better go straight, and then turn using an extra Flare. Where, 1 – landing place, 2 and 3 – place for grouping, dotted line – route. Done! If everything where done and planned correctly – there should not be any problems. 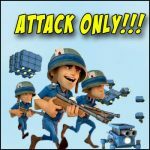 Note:Critters are also very good at distraction of enemy’s defensive buildings attention, but they becomes available only from 19 lvl of HQ. And one more thing… When the duration time of Shock Bombs finished you can throw a Medkit on your attacking warriors… it’s allow to save a few of them and save your gold. In the video below, you can see the successful attacks on bases, the pictures of which were at the beginning of this article. I want to draw your attention to the fact that on the second video, were successfully attacked bases of players, which are 14 and 8 levels higher than I am. Part 4. Warriors and Heroes. Sergeant Brick with her “Battle Orders” and “Iron Will” abilities is the most suitable hero for warriors. As for me, I use only “Battle Orders”. When you group and lead your troops, don’t throw the Flare directly into the building. 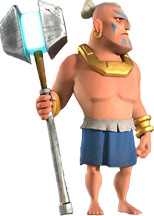 Sergeant Brick has larger range of fire then warriors and may stop on big distance from the pointed building and fall out from the group. Accordingly there will be a high probability to loss her. The correct way is to throw the Flare between buildings. Land the hero first. She moves slower than warriors do. 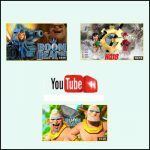 In the video below clearly shown how to use hero with warriors. 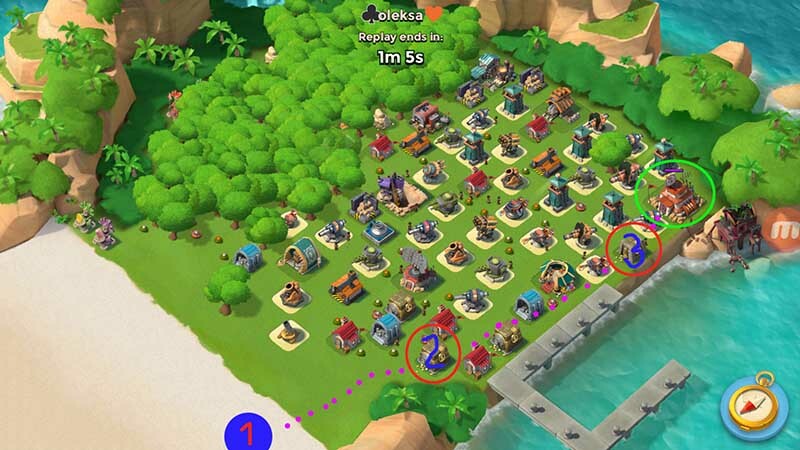 By the way, there shown an example of successful attack on the base of 51 lvl player (I’m just on 40 lvl). 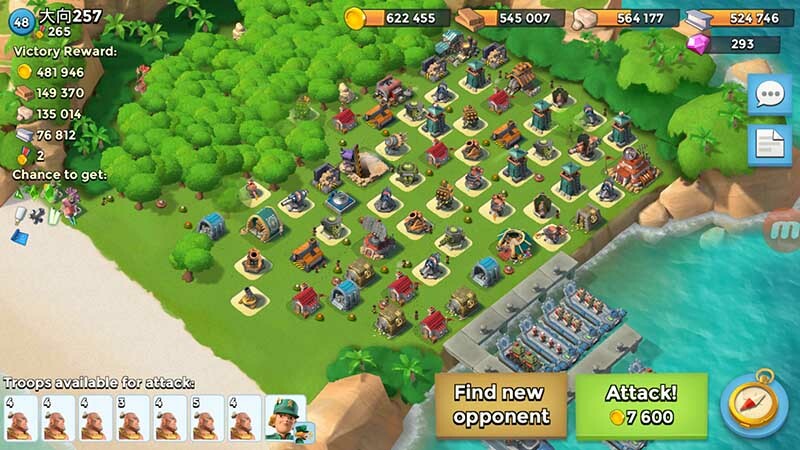 How do you think, is it possible to destroy that base with any other combo that is available for the player of 40 level? That’s all! If you have something to add – just write. I will definitely do it. 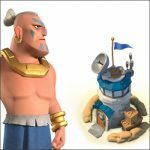 By the way, if you don’t know how to build successful defense against warriors – read this post!